Through its "Always Remember" program, Petro Home Services is providing up to 1,000 gallons of free heating oil or propane to a serving military member, veteran or their family in need, to thank them for their service or sacrifice this Memorial Day. This program engages our customers to share their personal stories about armed forces members who gave their lives, currently serving and veteran armed forces members, as well as their families. It's about all of us, as a community, helping those in need. Petro Home Services is dedicated to taking care of its customers' home service needs and honoring those who served or who are serving in the armed forces, along with their families, for all that they have fought for and lived through to give us our freedom. That’s why Petro Home Services is launching its Always Remember program this Memorial Day. “We are honored to run this program, and our goal is to help deserving armed forces members past and present in need, as well as their families, by providing up to 1,000 gallons of free oil or propane. However, it goes beyond that for the Petro Home Services team," commented Joe McDonald, Senior Vice President Sales & Marketing for Petro Home Services. "We are proud that this program raises awareness of the true meaning of Memorial Day, when we remember all those who died in active service. Without their sacrifices, we would not be free to live as we do today. The program is also a tribute to current armed forces members, veterans and their families, recognizing all that they do and the sacrifices they make, too. Always Remember engages our customers and the local community, enabling them to share their personal stories about deserving former or current armed forces members and their families that they know and truly want to help. More importantly, it's about all of us, as a community, helping to give back to those who gave so much for us." Petro kicks off its Always Remember program on May 16th, 2016 by encouraging customers and community members throughout the company's service areas in DC, Connecticut, Maryland, New Jersey, New York, Pennsylvania, Rhode Island and Virginia, to visit petro.com/alwaysremember and nominate a current or veteran armed forces member or military family in their neighborhood that they feel deserves up to 1,000 gallons of free oil or propane. Nominations must be submitted by May 30th, 2016. The Petro Home Services team will then choose one household in each state which will get their oil or propane just after Memorial Day. Recipients must sign Petro's media release and will be announced on June 8th, 2016. Visit petro.com/alwaysremember for further details, terms and conditions of the Always Remember program. Petro Home Services is also sponsoring local Memorial Day celebrations, such as local parades, and having collections for Operation Shoebox for active armed forces members at various locations throughout their service areas. Visit http://www.petro.com/blog/join-petro-in-donating-to-armed-forces-heroes to find out how to make a donation at a location near you. From heating oil, natural gas and propane services to AC, generators, plumbing and more, helping customers save on energy costs and keep comfortable at home is what drives the Petro Home Services team every day. 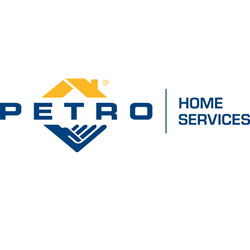 You can learn more about Petro Home Services, its services and special offers by visiting petro.com or by calling 1.800.645.4328. Petro Home Services is the country's #1 home heating oil provider with over 100 years of industry experience. Our large network and resources enables them to support each customer's home comfort needs better than any other heating oil company. With local customer service professionals, drivers and technicians, Petro Home Services is always there, whatever the weather--24/7, all year. For more information about Petro Home Services, call 1.800.645.4328 or visit http://www.petro.com.